Sign up for Broadjam today to follow Ryewire, and be notified when they upload new stuff or update their news! 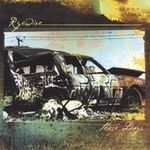 Ryewire recorded knockdown at Synergy Productions with Jason Shavey (Seattle WA) during August of 2005. 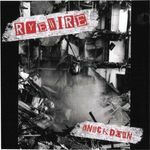 The album’s release closed out a hallmark year for Ryewire, ushering in a 2006 which, by indication of the exploding number of fans who love this band’s enticing mix of progressive and emotional hard rock, will be rife with possibilities.<br><br> Album: Ryewire: Knockdown<br><br> Street Date: November 17, 2005<br><br> Length: 48:24<br><br> Rating: <img src="http://www.albumbuzz.com/4stars.gif"><br><br> From: Seattle, WA<br><br> Reviewed by: Kevin This CD blew me away from track 1, all the way through. The band has come a long way, and with this album, have established the right sound with the right mix. The music was so well crafted, there was a great deal of time and effort put into the details. This is one of the best Seattle rock albums I've come across. don't you want to be hurt? don't you want to be seen? An older song from Ryewire reworked for this new album. You will fall for one of these girls and it will feel terrible when they don't feel the same way. There is nothing quite as horrible as walking in on someone that you care about with someone. Pick up and run with what you have left. She was my queen and now we are a thousand years in between. I've been wondering how good would you kiss me? I've been wondering how good could you love me? I've been wondering how long could this take? the outsiders view of nightclub lust and the maniac known as libations.